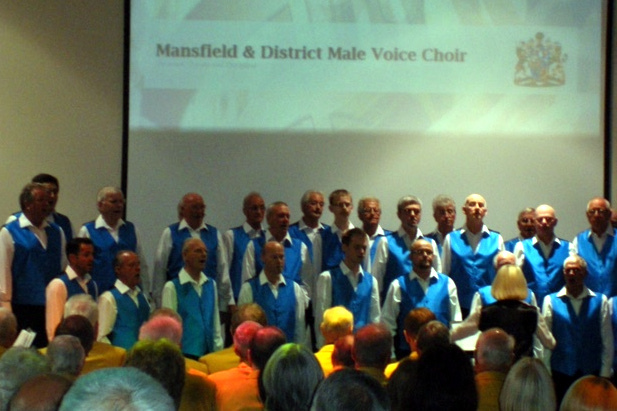 John has been compèring Male Voice Choir concerts for over 30 years and prior to joining Bestwood Male Voice Choir in 2003, was a member of the Nottinghamshire Police Male Voice Choir which disbanded in the same year. 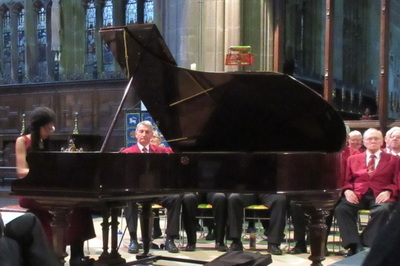 After taking early retirement in 2010 John’s time, apart from compèring and singing at BMVC concerts, is spent watching football at Notts County, cricket at Trent Bridge, and playing tennis once a week. John spent 45 years in Nottinghamshire Special Constabulary and retired as Chief Officer at the end of June 2012. Writing has always been an interest to John and so far he has published three books – ‘200 years of Methodism in Heanor’, ‘Quips, Quotes and Jokes by the Famous and the Unknown’, and ‘More Quips, Quotes and Jokes by the Famous and the Unknown’. 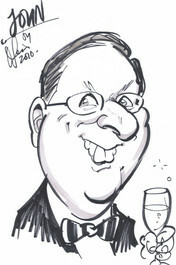 He is currently planning a fourth book called ‘Yet More Quips, Quotes and Jokes by the Famous and the Unknown’. Like the previous books all the profits are for Charity. The latest will be to raise funds for Nottinghamshire Scouts where John is Assistant County Commissioner, Head of Public Affairs. He is married to the long-suffering Barbara and has a son who lives in Manchester and a daughter who lives in Australia. 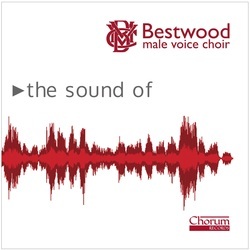 Bestwood MVC are proud to announce the release of our latest CD. CDs are available at our concerts or by requesting one via our contact page. TV - Colin and Gary made an appearance on the local NottsTV Tonight programme last night. They spoke about their time in the choir and promoted the @sixty-five gala concert. See their appearance on our Youtube channel HERE. RADIO - Gary, Bryce and Peter also made an appearance on this morning's Breakfast Show with Andy Whittaker on BBC Radio Nottingham. 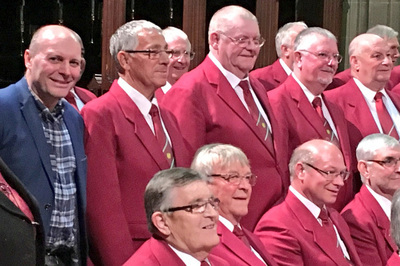 On 7th August 2017 Concert Secretary, Gary Hallam, and Chairman, Colin Pursglove appeared on the Alan Clifford Afternoon Show to talk to him about Bestwood MVC. In the 16 minute interview Gary and Colin covered the gala concert, how they each joined the choir and talked about how new members can join. If you missed yesterday's concert or you would like to relive the finale featuring the Bestwood MVC and Cantamus, here is a video posted by one of our friends on Facebook. Bestwood Male Voice Choir were pleased to hand over a cheque for £2,200 to Headway Nottingham, the choir’s chosen charity for 2016, on Tuesday 15 November. 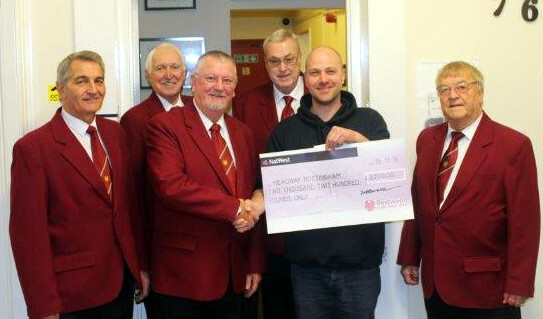 Seen in the photo are Chairman Colin Pursglove, Vice Chairman Peter Fletcher, Treasurer Michael Carlisle and Committee members Bryce Clare and Barrie Briggs, together with Michael Tansley Thomas, Headway’s Services Manager holding the cheque. 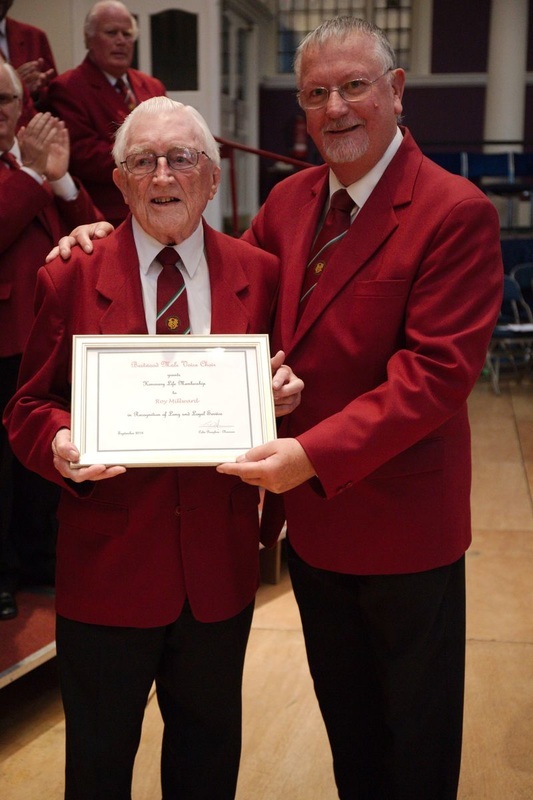 Congratulations to Roy Millward (baritone) who was awarded Honorary Life Membership of Bestwood Male Voice Choir in recognition of his 48 years of singing in the Choir. Choir Chairman, Colin Pursglove, presents Roy with a commemorative certificate at the Choir’s gala charity concert 2016 at The Albert Hall, Nottingham. A successful concert in aid of Age UK was made extra special by the very talented Konya and Jeneba Kanneh-Mason, who both amazed us with their piano playing skills. We also had our Patron, Paul Robey, come along and join us for the evening. 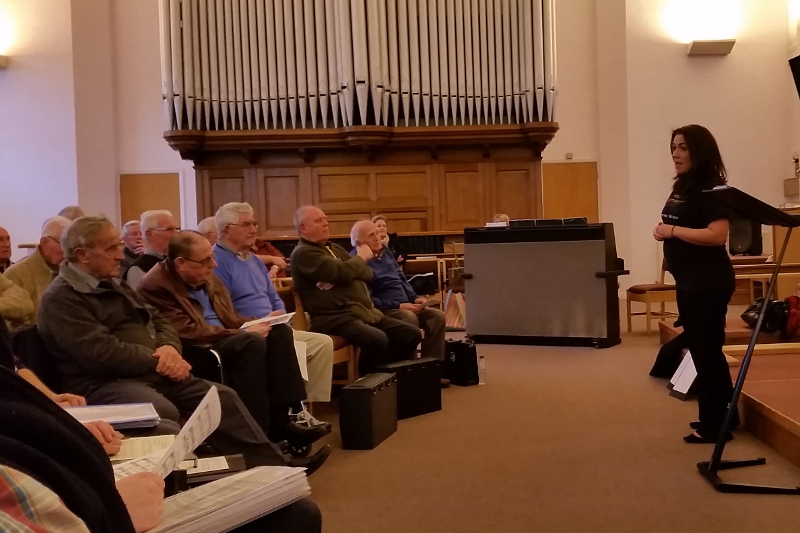 After several months’ absence our President, John Pritchard, was warmly welcomed back into the fold for his first full singing rehearsal. 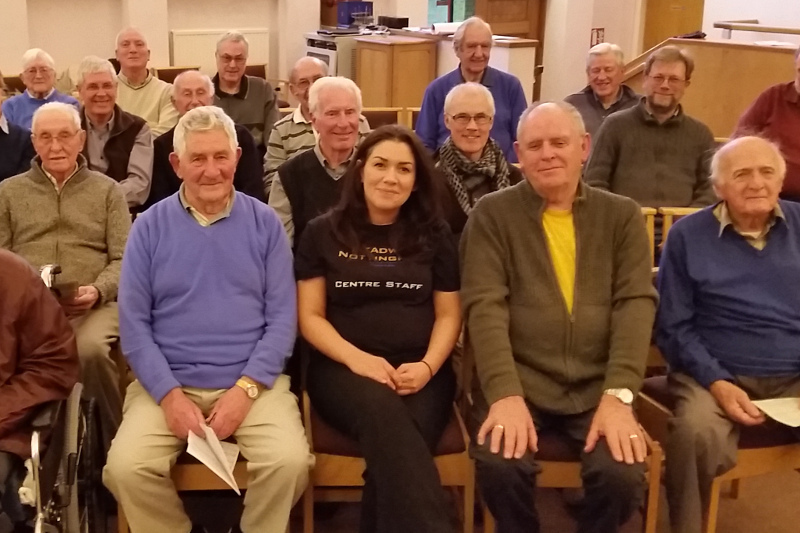 The lovely Rihanna popped in to a recent rehearsal to talk to us about Headway, the choir’s chosen charity for 2016-2017. Bestwood MVC are pleased to announce the local charity Headway Nottingham as their charity of the year. Headway Nottingham is the only long-term brain injury rehabilitation and support centre covering the city of Nottingham and county of Nottinghamshire. The choir's fundraising will culminate in a gala charity concert in September. 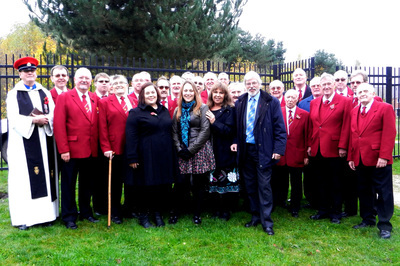 To launch the new youtube Bestwoodmvc channel here's a news article from BBC East Midlands Today from 2012 for you to enjoy. 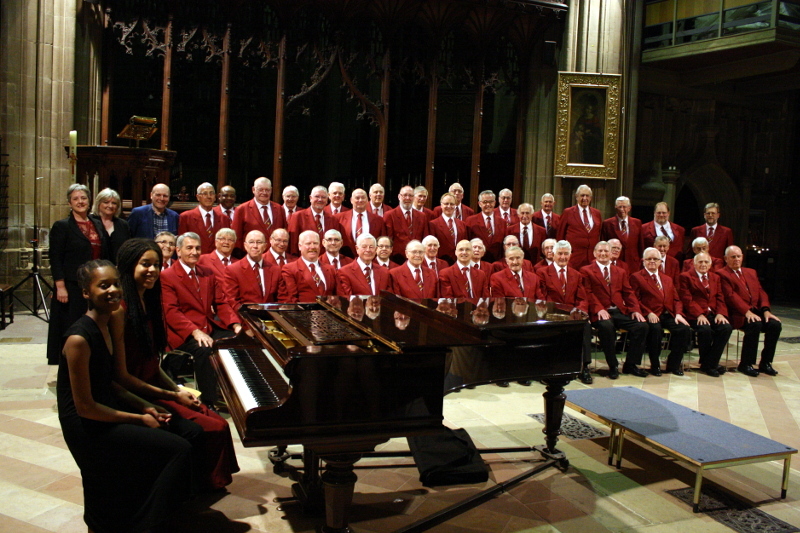 Keep up to date with all the latest choir news via our Facebook feed. 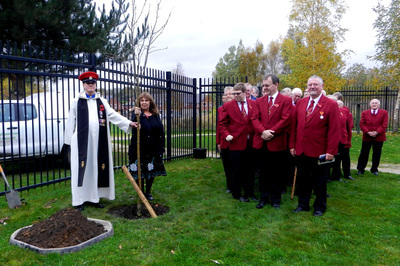 On 8 November, to mark what would have been the 100th birthday of their founder, Len Hogg, the choir attended a tree planting ceremony in Bestwood Country Park to mark this landmark year. Also in attendance were Len’s daughter, Sheila Scott-Smith, with family. In keeping with the Remembrance Day theme, Choir member Eric Ashby spoke eloquently about Len and the legacy he left behind. A rowan tree was planted by Len’s daughter, Sheila, after which the choir sang the mining song “Take me home”. Recording day 7.11.2015, St James PC, Brindsley. The choir worked extremely hard today, recording songs for a new CD. Under the expert guidance of Steve Swinden of Chorum Records, the full day of recording was a new experience for us. Some of us also realised how much attention to small detail it takes to achieve a good performance. 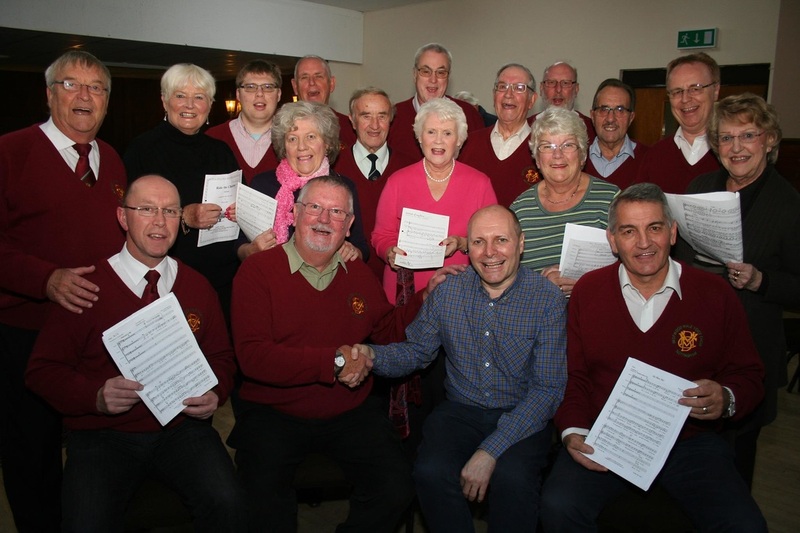 At Tuesday night's practice the choir welcomed Paul Robey, a presenter on BBC Radio Nottingham, as the choir's patron. 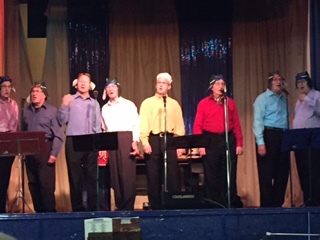 A few images from the NAC Five Choir Concert held on 23 May 2015. 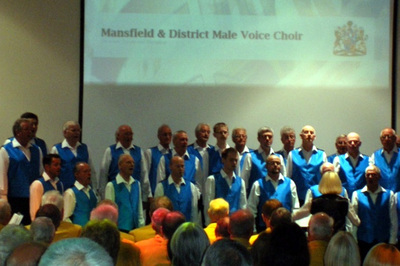 The Bestwood lads sang to a lively and responsive sell-out audience at the Grangewood Methodist Church in Wollaton. Compère John Pritchard had them rolling in the aisles with his latest batch of funny stories. 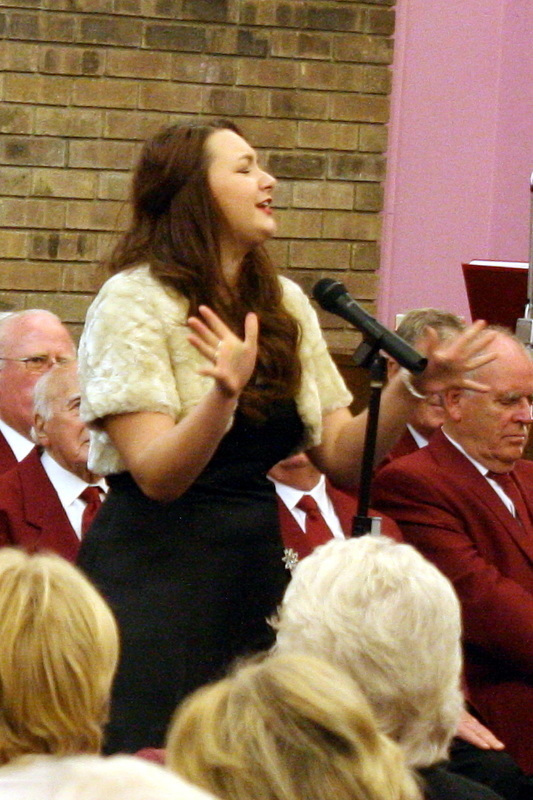 Variety came in the form of the talented Lily Taylor-Ward, soprano. The proceeds from the concert will go to several charities supporting research into dementia and to the LAM Trust. Lymphangioleiomyomatosis is a rare lung disease occurring almost exclusively in women. 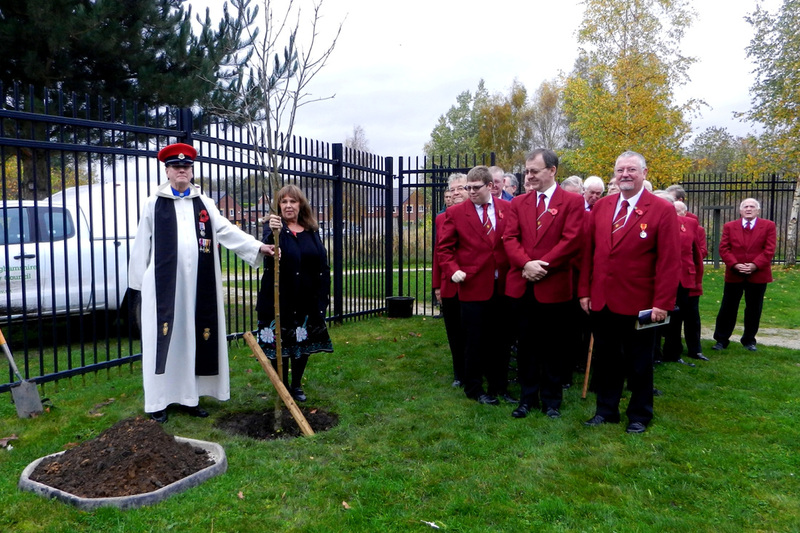 Hucknall Central Methodist Church’s fine acoustics resounded with good music and lots of audience applause as a 56-strong Bestwood Male Voice Choir remembered their founder member, Len Hogg, on 28 March. The Choir’s annual tribute to Len, this year on the 100th anniversary of his birth, was by all accounts a very successful evening enjoyed by all. The choir’s performance was interspersed with solos from Phil Richardson and Adrian Griffiths concluding with the concert’s hair-raising highlight of Morte Criste, with Michael Anthony adding to the accompaniment on the Binns Organ. We were pleased to see several members in the audience but most fittingly, the concert was attended by Len’s daughter Sheila and family (Photo right). 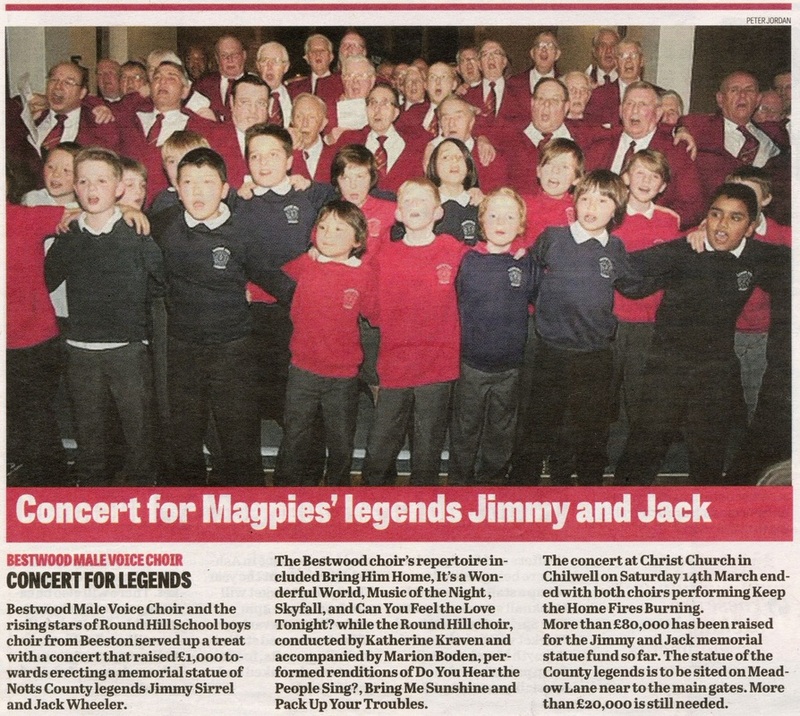 A review and picture of the Jimmy and Jack concert on Saturday 14 March appeared in the Hucknall Dispatch. Friday 20 March 2015. 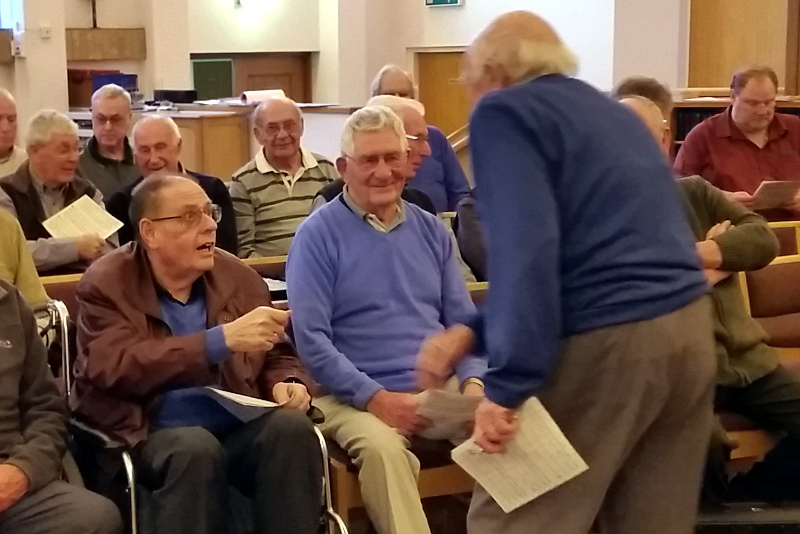 On 14 March Christ Church, Chilwell was the setting for a rare evening of music: the “young” men of Bestwood MVC were hosts to the even younger “men” of Roundhill School Boys Choir. Both groups entertained the packed house with a wide variety of songs, very well received by the audience, and finished the concert with a joint and stirring rendition of “Keep the home fires burning”. 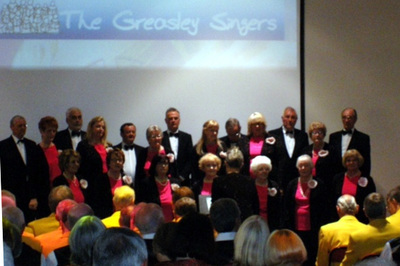 The concert, in aid of the Jimmy and Jack memorial statue fund, was introduced by Colin Slater, MBE. 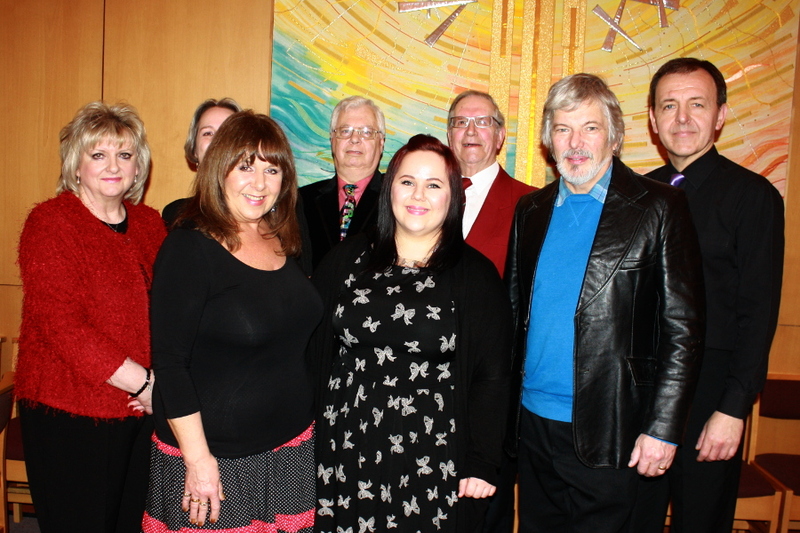 Members of the choir enjoyed an entertaining evening on 20 February at their postponed Christmas party. Due to a prior concert booking the choir were unable to have their normal Christmas party in December so decided to have it in February. The main entertainment for the evening was provided by The Knights, a "boy band" originally created as an off-shoot of the choir. 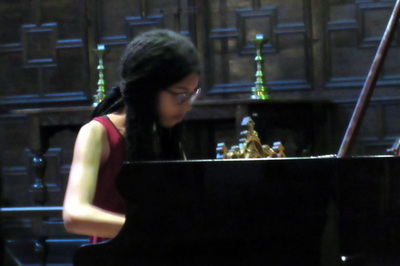 Individual members of the choir also entertained with solo spots featuring songs and monologues. The whole evening was rounded off with a buffet and raffle organised by the Choir Ladies. The choir recently received an email from former member John Fawcett. 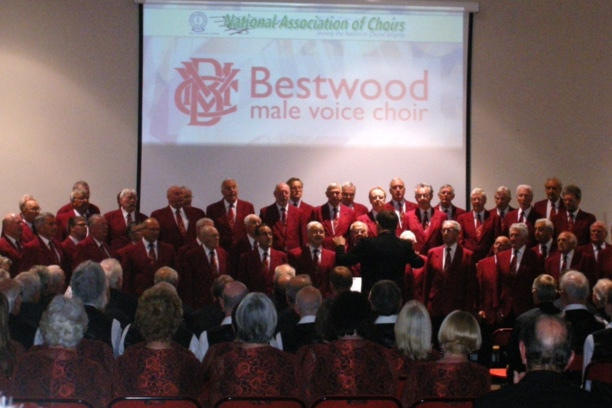 John has kindly given us permission to reproduce his letter and his reminiscences of the early days of Bestwood Male Voice Choir. Almost by accident I accessed your website which I found really informative. Some of the early information appealed to me because I was a founder member, or perhaps more accurately, I was there from the beginning. 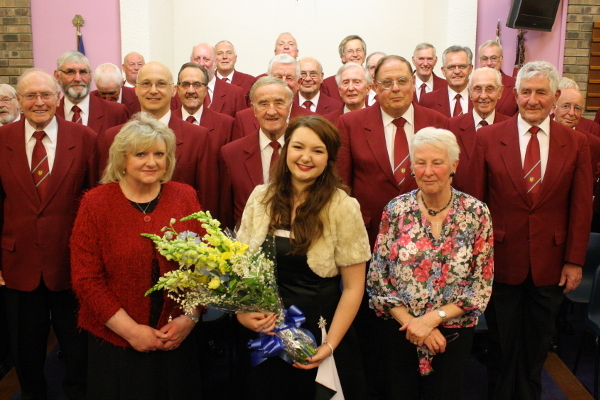 I was only 14 years old and the youngest in the choir by at least 20 years. I was perhaps the object of some curiosity but I was accepted and sang with the choir for two or three years, always under the musical direction of Frank Dunn, a man with a remarkable vocal range from bottom bass to top tenor. I lived in the village until my career eventually took me far away. Some years ago I wrote for my own interest an account of how I remembered the village, the colliery, the school and so on and I included something about the choir. 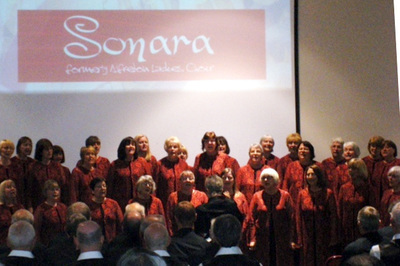 This is a reminiscence of what may have been one of the choir's early public performances. Here it is. 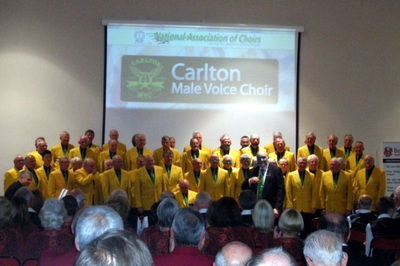 In the early 1950s a move was made to set up a male voice choir. 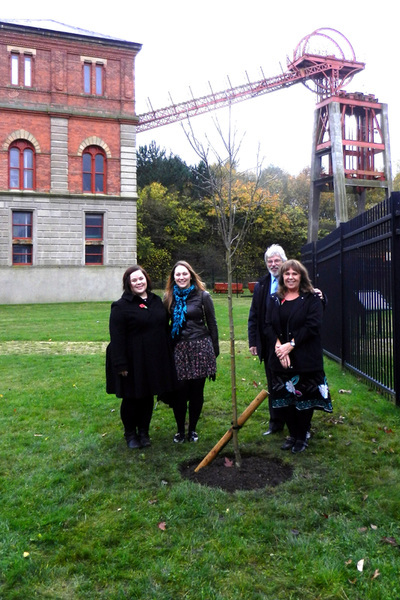 The Manager at the colliery was to be the conductor and musical director and, since there were one or two senior officials from the Area Headquarters, there was a good turnout. Some members clearly had half a lifetime’s singing experience from church and other choirs, but many were novices. The conductor quickly realised the variation in talent and arranged the rehearsals to suit almost the slowest. They were divided into the four singing parts, 1st and 2nd tenors, baritones and bases. The range of the male human voice which the four parts covered is quite extensive, but surprisingly the conductor could apparently sing through the whole range. Some of the more ambitious and assertive elbowed their way to the front row and sang with great fervour and as much flair as they dared. They started with very simple things, hymn tunes such as Crimond and Belmont, but soon progressed to ballads and later to more ambitious pieces. The pianist was a small man in his middle years whose keyboard skills ranged from choral accompanist to pub and dance band player, all carried out with effortless grace. 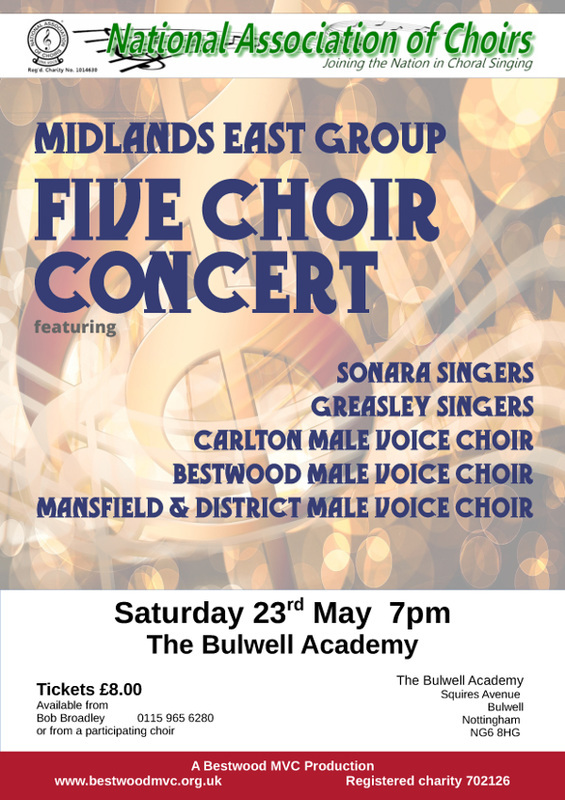 The first time the choir performed was at a charity event in the large Methodist chapel in Bulwell, early one Saturday evening. Since the choir had to arrive in style a coach was hired, although the distance was scarcely three miles. The choir was dressed up in dark grey suits and white shirts, but with a black bow tie. The concert day came and the choir and their wives and girlfriends trooped into the chapel, the choir squeezing into the area around the altar to render, at first nervously and later with greater confidence, almost their full repertoire. The large chapel was full and for the audience, or rather congregation, this was clearly a night to be relished, but only if they themselves would be allowed to sing. Finally, when all the soloists had done their bit, the choir had exhausted its programme, the local circuit minister had gravely thanked everyone in sight, and the organ had played “The Lost Chord” in its full Victorian grandeur, it was announced that all should sing “All Hail the Power of Jesu’s Name”. A rather sedate version is well known in the Church of England but this was a Methodist anthem of powerful praise. No one in the entire building it seemed needed either music or words and all sang with a gusto and commitment too overwhelming to describe. The verses were relatively restrained, sung merely at double forte. But at the chorus no one held back from the sustained soaring melody or from the rolling harmony, each part rising to a mighty crescendo in the final “Crown Him Lord of All”. Strangers may have been at first slightly apprehensive at singing of what was clearly the symbol of their faith and culture, but soon everyone was swept up in the great rendition. By the final verses caution was thrown to the winds and the singing was almost beyond belief. In the excitement most of the congregation, not needing to refer to any hymn sheet, was studying the choir closely to see if any were unfamiliar with this non conformist ritual, this tribal anthem, by which token you either were, or were not, one of them. The hymn was sung, the spell broken and the concert ended. 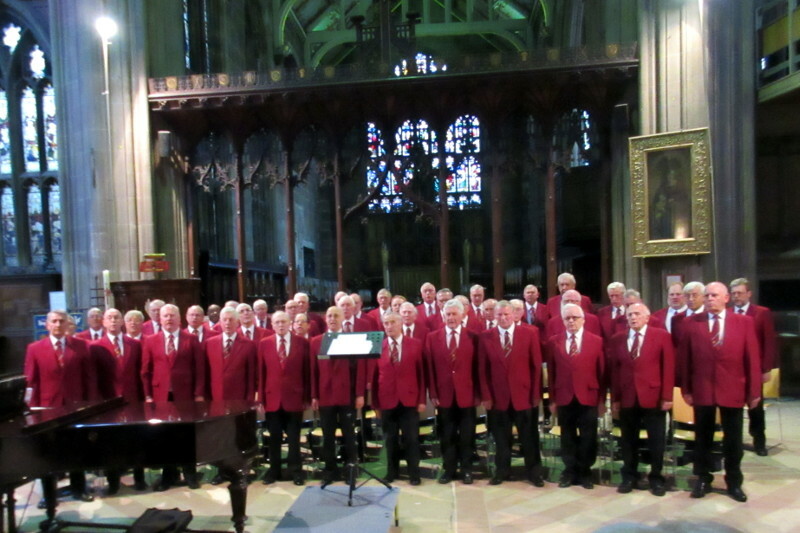 In the years that followed the choir went from strength to strength, and won competitions at festivals, bringing home prizes and cups, medals and awards. Competitions in far away places always entailed a hired bus and, since the event usually took place on a Saturday afternoon, the journey home involved one or more stops to take on refreshment. One young man, not yet exposed to the social habits of the more mature adults, found their antics quite revealing. Bestwood Male Voice Choir is proud to announce that their Charity of The Year 2015 is the Lincs and Notts Air Ambulance. The following is a description of the work that they do. The Lincolnshire and Nottinghamshire Air Ambulance is a dedicated medical air service which first began flying operations in Lincolnshire in April 1994. Based at RAF Waddington, south of Lincoln, we are unaffected by road congestion, country roads, heavy vehicles or road works. Our Helicopter is fully equipped and staffed by two paramedics; it can literally make the difference between life and death. If somebody is involved in a serious accident or suddenly taken ill, speed is of the essence. In order to give the best possible chance of making a full recovery, the Air Ambulance can get patients to hospital as quickly as possible. It can fly at just under 160mph to any point in the two counties in less than 20 minutes. Every year we need to raise £1.8 million to keep our Air Ambulance flying. To date with your generous support this has been possible, please continue to help spread the word and keep this vital lifesaving service running.